As this year’s Country in Focus, Norway will open its own festival centre for its so far strongest representation at the Berlin International Film Festival. 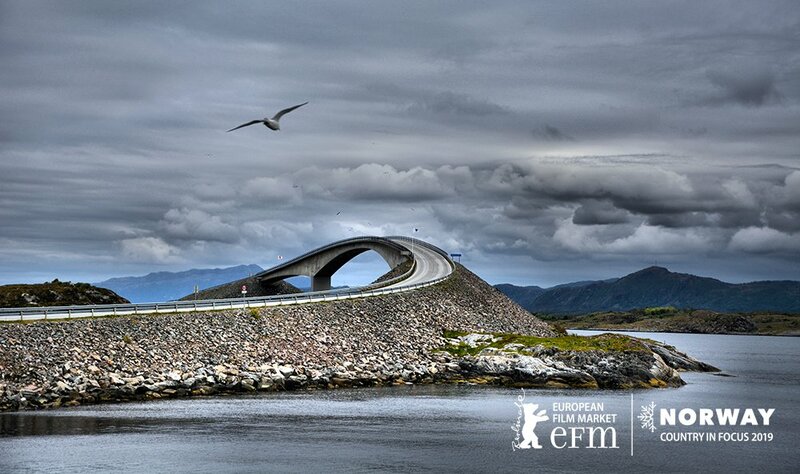 Norway will be the third Country in Focus – after Mexico and Canada – at the European Film Market during the Berlin International Film Festival, which unspools its 69th programme between 7-17 February. It will be the first European country in spotlight and the first to build its own festival centre, the Norway House (open between 8-13 February) at Niederkirchnerstraße, next to the Mirror Tent and just across the road from the European Film Market headquarters in the Gropius Bau. “To be granted the privilege of being the first European country in focus, is a great honour for Norway as a filmmaking nation,” said Norwegian culture minister Trine Skei Grande, who will officially open the Norway House on Friday, 8 February, at 11:30, and launch Norway’s largest cultural export project ever, which will continue at Bremen’s Jazzahead Festival (25-28 April) and the Frankfurter Book Fair (16-20 October). ”Arts and culture are essentially about freedom of speech, and it has the potential to enlighten, challenge and develop us. Therefore, a diversity of opinions in arts, culture and society as a whole takes us forward as nations. The European Film Market is a celebration of diversity and shows us that stories have no borders. Taking part in cultural activities like watching a film or reading a book are valuable experiences that broaden our perspectives,” Skei Grande added. For Norway, being Country in Focus gives an opportunity to present new and upcoming talents within feature films, drama series and documentaries - and their new projects. Norway also wants to present itself as an attractive country as location for film productions, with its incentive scheme, stunning nature, excellent infrastructure and highly skilled film professionals with innovative approaches to film production. In doing so, Norway has its own slot in the EFM Horizon Programme where the topics are the use of blockchain and how to economise and still optimise your film. One of the presenters is director Erik Poppe who has direct experience in using some of the new Norwegian innovations on his newest productions. Read more here. Norway also uses this opportunity and extra attention to highlight its work on gender equality and diversity in the film industry and hosts several seminars on this topic. Read more here. During the Berlinale, the newly built Norway House will host seminars, presentations, networking events, debates, receptions, press conferences and also be a place to meet Norwegian film organizations and providers of services and goods for the film industry. Among these are the Sørfond, the Film Commission Norway, the regional Film Centres and Funds, Tromsø International Film Festival in addition to the companies Storyline, Skeie Seating, DVNor/NagraKudelski, Nettkino, Gimpville, Dagslys, Kamera Rental and Skeie Seating. Read more about these companies here. Read about all the films and see their screening times here. Norwegian actress Ine Maria Wilmann – this year’s Norwegian Shooting Star in the European Film Promotion’s Berlinale programme – has most recently played the lead in Norwegian director Anne Sewitsky’s Sonja – The White Swan (Sonja), the biopic of the Norwegian skating world champion and film star Sonja Henie, which had its international premiere at the American Sundance Film Festival. Read interview with Wilmann here.